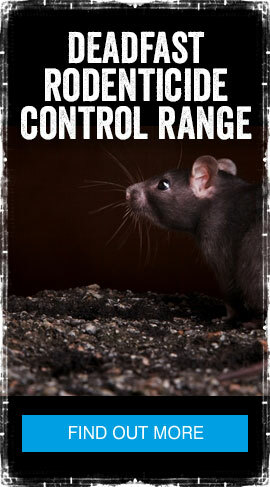 Video step-by-step instructions on how to use our Deadfast Power Kill Mouse Traps. Bait the trap using peanut butter or anything high in protein like chocolate or hazelnut spread in the bait trough provided. Be sure to use a Q-tip, toothpick, or another tool to bait so your scent is not transferred onto the trap. Place the trap where you’ve seen signs of rodent activity or along the wall where rodents primarily travel. The end of the trap with the bait trough should be placed flush against the wall.